So you’ve decided it’s time to unveil the hard-earned muscle you’ve been packing on over the last few weeks, months, or even years. You have your cutting diet all ready planned and your workouts locked and loaded. Now you wonder, which supplements will help you move forward? When it comes to fat loss products, there are some options that can make things easier. Note that no supplement is ever going to completely do the work for you – so don’t be trapped into thinking that is the case. 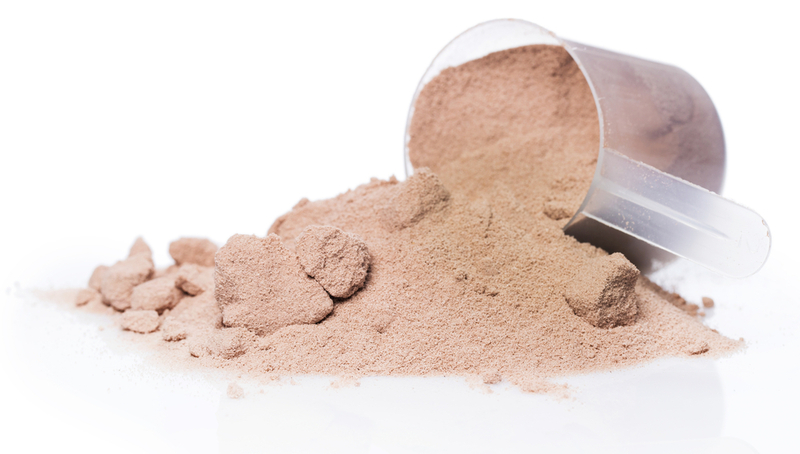 A supplement is only going to help supplement your proper diet and workout program. Walk into any supplement store however and you’ll likely be overwhelmed with your choices of fat burners. Which are right for you? Which will deliver you the results you want to see? And which could put your health at risk? Let’s answer all these questions and more in this guide to fat burners. The first type of fat burner you’re likely to come across is an appetite suppressant. These products are designed to help lower your hunger level, giving you more control over your food choices. As any guy who’s ever been on a cutting diet knows, when hunger rears it’s head, all bets on sticking to your chicken and salad menu are off. Hunger is the one thing that can send any well-intentioned dieter off their plan in a hurry, so having a little help with this regard is usually quite beneficial. There are a few different ingredients that can offer appetite suppressant benefits. First you have hoodia gordonii. This can be purchased all on its own and is a herb that was used in ancient tribes on long hunting expeditions to help stay out longer without succumbing to hunger. Many people report a complete cessation of appetite when using it. Caffeine can also act as an appetite suppressant, as you may have noticed if you’ve found that a cup of coffee can take the edge off your hunger before lunch. Another appetite suppressant is ephedrine, which can also be found in the herbal format called bitter orange. Both of these tend to lower hunger levels while providing additional benefits we’ll note in a minute. You can use these ingredients alone in a single dose form or if you prefer, you can consume them in combination with a stacked product, which is where you get these ingredients and more. The choice is yours. The next type of fat burner you’ll come across is the thermogenic category. This type of fat burner is designed to increase thermogenesis in the body, which is essentially your resting metabolic rate. The faster your metabolic rate is, the faster you should see fat loss taking place provided you are still using your reduced calorie diet. Thermogenics typically do stimulate the central nervous system however, so do keep that in mind. If you are someone who tends to be sensitive to caffeine for instance and suffers from headaches and feelings of anxiety or jitteriness, you may find that thermogenics are not the best option for you. Likewise, as thermogenics do tend to increase the heart rate and blood pressure levels, if you are someone who is already prone to high heart rates and blood pressure, this might be another reason to refrain from this type of product. The three main thermogenic ingredients that you’ll often find in fat burners include caffeine (also sometimes called guarana), bitter orange/ephedrine, as well as green tea extract or green coffee bean. All of these will help to boost your total resting metabolic rate as well as provide energy to the body. Most people will take these first thing in the morning to get a jump-start on their day as well as right before their workout session so they have additional energy to get their intense workouts in. This can be helpful as when on a reduced calorie plan, lower energy levels are very commonly reported so getting through gym sessions can be challenging. A thermogenic supplement can help you avoid this problem. Because these fat burners are stimulatory in nature, you’ll just want to be sure that you are watching your dosage. Start with the lowest dosage first and then build up from there once you see how your body reacts to them. Moving along, the next type of fat burner you may want to consider is a non-stimulant fat burner. For those who don’t react well to caffeine, this will likely be the better option as this way you won’t experience those harsh side effects, yet can still reap fat burning benefits. Because these fat burners are non-stimulant, this means they won’t stimulate the central nervous system. As such, you likely won’t get as strong of results from them and noticeable increases in energy level. Still, they will provide some benefits over and beyond taking no supplement at all. Non-stimulant fat burners typically work by helping to increase the overall rate of fatty acid transport to the mitochondria of the cell, where the fat is then burned off for energy. Some of the common ingredients you’ll find in non-stimulant fat burners include conjugated linoleic acid (CLA), raspberry ketones, and yohimbe. Note that these may still cause some people to suffer from sleep related issues if taken too close to bed time, so you’ll still want to be sure that you are leaving enough time between your last dose and when you plan to turn in for the evening. Finally, the last type of fat burner you may note while shopping are carb and fat blockers. As the name suggests here, these fat burners work by trying to actually block the absorption of carbohydrates or dietary fats in the body. Take caution with these. Generally speaking they don’t tend to work all that well and if they do, they’ll often lead to severe gastrointestinal related issues due to the fact your body is producing far more waste than normal. Remember, what goes in, needs to come out if it’s not used for energy or stored. Most people should just steer clear of these. They’ll also put you into the mindset that you can eat whatever you want on your diet plan, which is never a good mindset to be in. So there you have a closer look at the main types of fat burners that you can choose from. Almost all fat burners can be divided into one of these categories, with the exception of appetite suppressants. While you can buy appetite suppressants on their own, usually the ingredients they focus on are found in conjunction with other ingredients in either thermogenic or non-thermogenic products. So you’ll actually get both benefits in one. After learning a bit more about fat burners, have you decided that you want to get started? If so, you need to know a few things before hand. First, make sure that you are using a proper diet and workout program before starting any fat burner. It’s critical that you get both of these in place before moving forward. If you don’t, you’re going to find that you start using the fat burner as a means to excuse yourself from following your plan. Second, do your research on any product you plan to buy. Keep in mind that many fat burners use a ‘proprietary blend’, which means they are not going to tell you how much of each ingredient is found in the product. This can be unfortunate as in the case of thermogenics this is need-to-know information. If you don’t know if you are putting 100mg of caffeine into your body or 300 mg of caffeine into your body, this can cause some serious unwanted side effects. Try and steer clear of proprietary blends. You want to know exactly what is in the product and how much of each ingredient. Finally, start with the lowest dose and work up from there. Don’t dive in to taking multiple doses per day without first seeing how your body reacts. Give it a week before you re-evaluate and determine if you should add a second or larger dose to your plan. Remember that you’ll also want to take into account any other caffeine-containing substances you are consuming as well such as coffee or energy drinks. Caffeine does add up and too much will put you on a road to burnout and be quite dangerous. Moderation is key. Finally, consider cycling your fat burning supplements, especially the ones that are thermogenic. This helps prevent the body from adapting to them and ensures that you continue to respond over time. It’s a good idea to go six weeks on a fat burning supplement and them come off for about one week. Then you can go back on if you choose to do so. So there you have all the facts to know and remember about fat burning supplements. When used in conjunction with a good diet and workout plan, they can certainly be a very beneficial option that can take your results one step higher. But, you do need to do your research before you buy and make sure you are buying a good quality product that is right for you.